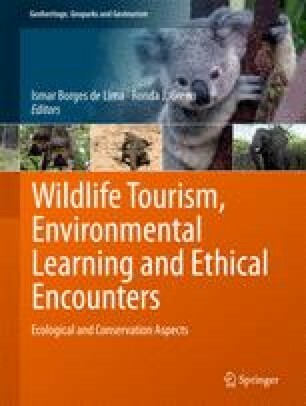 Hunting tourism plays important roles in the conservation of wildlife; hunters provide financial support for conservation programs and habitat protection, assist in the monitoring of wildlife populations, and play important roles in population management (Heffelfinger et al. in Int J Environ Stud 70(3):399–413, 2013). These conservation roles indirectly benefit host communities through the stewardship of wildlife populations and the protection of habitats. The hunting of waterfowl is a popular form of hunting tourism; however, the number of North American waterfowl hunters has been declining since the mid-1970s (NAWMP Revised objectives: an addendum to the 2012 North American Waterfowl Management Plan. Fish and Wildlife Service, Washington, 2014). Although a number of conservation and waterfowl hunting organizations and government programs offer educational and mentorship programs to promote waterfowl hunting and retain hunters, declines in the number of waterfowl hunters continues. This chapter examines constraints to hunting tourism and explores waterfowl hunters’ motivations in an effort to understand what influences decisions to participate in waterfowl hunting as a nature-based tourism activity. Using a deductive approach, this chapter employs self-determination theory (Deci and Ryan in J Mind Behav 1(1):33–43, 1980), the theory of planned behavior (Ajzen in Organ Behav Hum Decis Process 50(2):179–211, 1991), and leisure constraints theory (Crawford et al. in Leisure Sci 13(4):309–320, 1991) to guide a thematic analysis. Thirty-four waterfowl hunters, representing a range of skill levels and commitment to the activity, were interviewed in three Canadian provinces (Alberta, Saskatchewan, and Manitoba) about the factors that influenced their decisions to hunt waterfowl. These factors included structural, interpersonal, and intrapersonal constraints, and attitudes, subjective norms, and perceived behavioral control. We contrast the theoretical and managerial implications of these findings. Findings of this qualitative research inform tourism, outdoor recreation, and wildlife managers and planners to develop strategies for the recruitment and retention of hunting tourists and help retain the local ecological and economic benefits of waterfowl hunting. Funding for this research was provided by the Delta Waterfowl Foundation and the Alberta Conservation Association.